FTL50133019 5.11 Tactical Sentinel Watch. FTL50133033 5.11 Tactical Sentinel Watch. FTL50133120 5.11 Tactical Sentinel Watch. FTL51030 5.11 Tactical Tanto Surge. 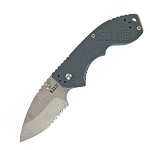 FTL51036 5.11 Tactical XPRT Folder. FTL51078 5.11 Tactical CS1 Linerlock.